LendingPoint, a US online provider of direct loans to consumers, has acquired LoanHero, the San Diego-based fintech firm that enables merchants to extend instant financing to consumers at the point of sale. Xconomy (FinTech Futures’ sister publication) reports that financial terms of the buyout were not disclosed. The acquisition enables LendingPoint, which focuses on near-prime consumers (with FICO credit scores from 580 to 700), to extend its financial software and services to consumers making a major purchase, whether it’s online or a face-to-face sale. LoanHero had developed a loan origination programme focused mostly on prime customers (with credit scores above 700), Burnside explains. But LoanHero co-founders Derek Barclay and Kristin Slink lacked experience with near-prime customers. “The more we talked, the more we realised how complementary the two businesses are,” Burnside writes. LendingPoint, founded in 2014, is based in Kennesaw, Georgia, northwest of Atlanta. LoanHero, also founded in 2014, enables merchants to provide instant conventional or promotional financing for purchases over $1,000, “whether it’s a medical procedure not covered by insurance or a new roof”. Last April, LoanHero named executive chairman Zalman Vitenson as CEO and Olaf Janke as chief financial officer. Over the past four years or so, LoanHero has raised about $4.6 million in equity funding from angel investors, San Francisco’s Alsop Louie Partners, and Los Angeles-based Mucker Capital.After incubating at San Diego’s EvoNexus incubator, the company has grown to about 20 employees. 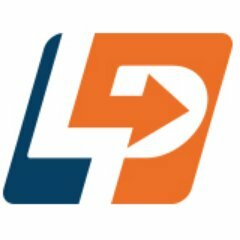 Burnside says LendingPoint would continue to operate in LoanHero’s office in downtown San Diego. Co-founders Barclay and Slink will continue to play an active role in leading the LoanHero team, he adds.